Teenager Hamish Keast has succeeded on three sporting fronts - road cycling, mountainbiking and karting. Keast's favourite is road cycling, because its hill climbs and time trials fire up his competitiveness. The James Hargest Junior Campus student struck instant success in his first road race, the under-13 boys' section of the Yunca Junior Tour of Southland last year. He won the yellow jersey on the first day and wore it to the end, also winning the sprint race's green jersey on the last day. 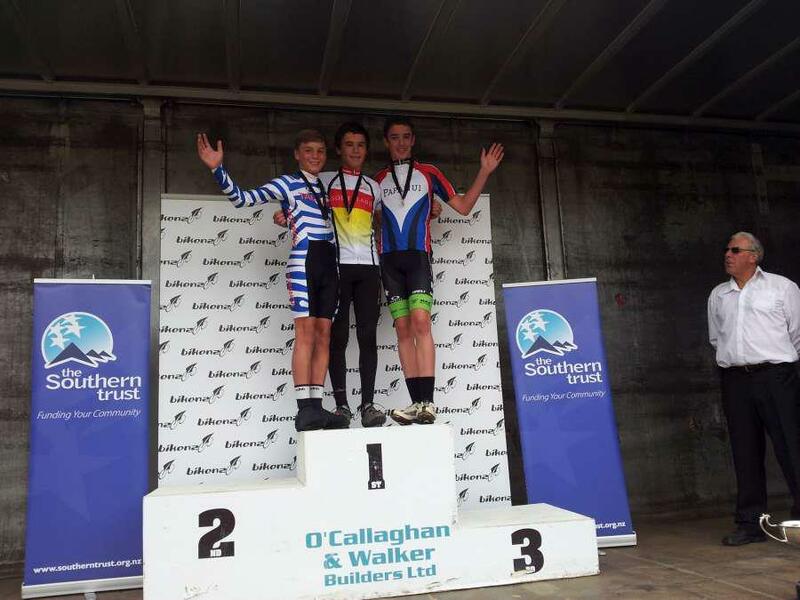 Keast received the gold medal in the under-15 boys' time trial and silver medal in the under-15 boys' road race at the national road championships in Queenstown in April. Four more medals came his way in the same grade in March. Keast won gold (time trial) and silver (road race) at the Southland Road Championships and, at the Southland and Otago Secondary Schools Championships at Teretonga, he gained two golds (road race, time trial). His efforts have been noticed by Stu MacDonald, who coached Olympic cyclist Natasha Hansen. MacDonald has mapped out a training programme for Keast. The young sportsman has also been a competitive mountainbike rider for five years. His achievements include a second in round two of the under-15 winter series at Sandy Pt last year, a win in the Sheep Wash Road 8km event at the Gowan Classic, Nightcaps, in 2009, a win in the recreational under-15 male (Sandy Pt) in 2010, a second in the male junior (15-19) Moonshine Trail at Gore in February and a second in the Bannockburn Mountain Bike Classic's recreational junior male in 2011. Among his karting highlights are wins in the Enduro Cadet section at the Kartsport Southland Championships (2011), Southland Series Cadet (2010) and final round of club champs (cadet, 2008). One of Keast's sporting goals is to compete at the South Island karting championships next year. He owns a 100cc Yamaha kart. Being involved in sport has created opportunities for the 13-year-old. "It's fun and you meet different people . . . It keeps you fit," Keast said. "I want to keep training, try my best and see where it takes me."